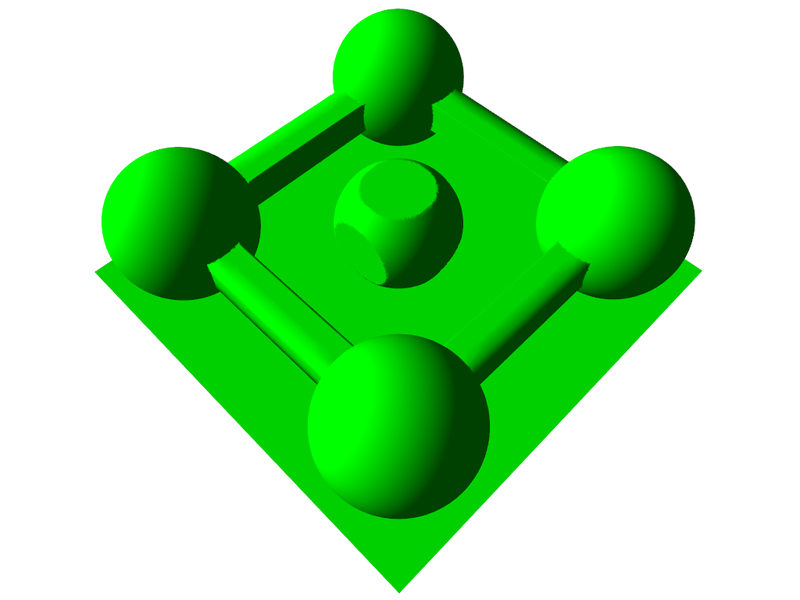 Constructive Solid Geometry (CSG) is the combination of basic shapes like spheres, cubes, planes etc. to complex models. They are combined with operators from the set theory like union, intersection, difference or negation. The combination is done via a tree where the inner nodes are the operations and the leafes the basic shapes [OM04, S. 157-158].